Our mission is to provide mostly local produce as well as education on health and wellness to food insecure neighborhoods. We have a mobile market systems that provides mostly local produce in up to 30 neighborhoods per month. What is a food desert vs. food insecure neighborhood? According to the coined term in the 90’s, food deserts are defined as “parts of the country vapid of fresh fruit, vegetables, and other healthful wholefoods, usually found in impoverished areas. This is largely due to a lack of grocery stores, farmers' markets, and healthy food providers.” After popular debate, the term “food desert” has been received as a negative association in which the term “food insecure” was formed to better describe neighborhoods living without means to get to proper food sources. The Bulb has partnered with small and large farms, backyard gardeners, chefs, credit unions, artists, and other non-profits to create a mobile resource market . This model allows for zero to low-income households to live in a more sustainable way by gaining health and wellness from their own doorstep. Markets are referral or donation based. Neighbors choose how much they can afford per item. If proof of zero income or 50% of the area median income is provided, items and services are for free. The Bulb's vision is to have a healthy impact on vulnerable neighborhoods by providing less barriers to resources needed for personal growth. individuals living in food deserts in Mecklenburg County. of the the population in South Carolina live within food deserts. Of food desert neighbors do not have access to transportation. Our goal is to become even more mobile by gaining access to a food truck to not only store food but to deliver it to multiple neighborhoods in one day. 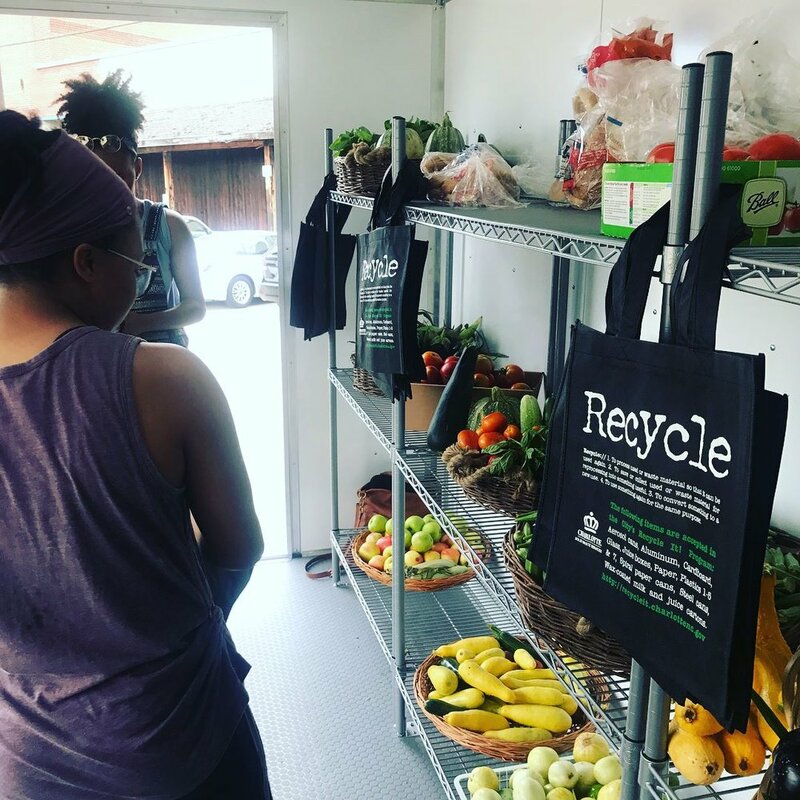 Currently, we service up to four neighborhoods per week with produce that is donated from partnering farms and agencies in a pop up tent and truck. If we were to have a cooler on wheels as well as a resource team full of chefs, volunteers, and agencies offering budget and therapeutic counseling, numbers of individuals in food deserts would drastically decline.